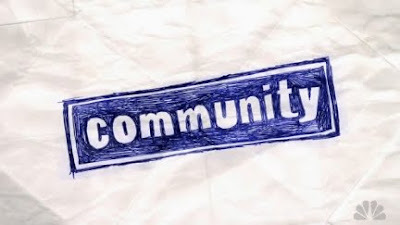 Back of the Head: Community 1x7 - "Introduction to Statistics"
Community 1x7 - "Introduction to Statistics"
Otherwise known as the Community Halloween episode. Otherwise known as Mexican Halloween, "which is quite offensive to those who know Mexican Halloween as a sexual position." Executive Producer and creator Dan Harmon Tweeted that "Mexican Halloween Sexual Position" was the number 3 Google search last night. Also, they made it up. Honestly, I searched for it... for... clarification. Abed as Batman, specifically his rambling rant at the end, murdered me like the Joker. I initially thought Pierce was dressed as Harry Hamlin in Clash of the Titans (complete with Golden Owl) and not the Beastmaster. Either way, I'm old. "Can I ask you something I've always wanted to ask the real Batman?" "You're a very attractive young man." Parks and Recreation 2x7 - "Greg Pikitis"
The Office 6x7 - "Koi Pond"
The Office 6x6 - "The Lover"
Parks and Recreation 2x6 - "Kaboom"
Community 1x6 - "Football, Feminism, and Me"
The Office 6x5 - "Mafia"
Parks and Recreation 2x5 - "Sister City"
Community 1x5 - "Advanced Criminal Law"
The Office 6x4 - "Niagra"
Community 1x4 - "Social Psychology"
The Office 6x3 - "The Promotion"